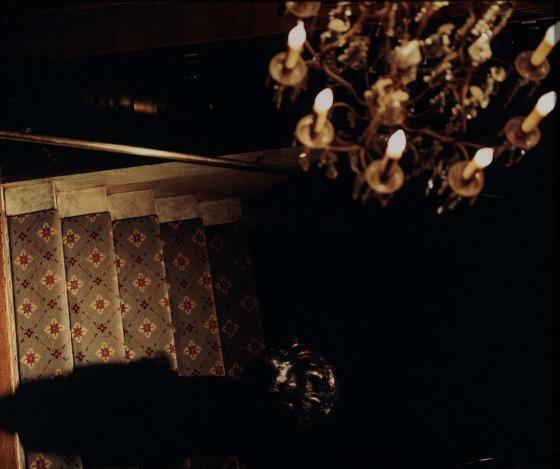 In Untitled #94 half life, Anna Gaskell's camera follows an elusive black-haired woman through the hallways and rooms of an elegant but spooky building, vacant except for the viewer and protagonist. The series is partially inspired by the Gothic novel Rebecca, in which a new wife is haunted by the memory of her wealthy husband's widow, although it has the cinematic quality of a psychological thriller. 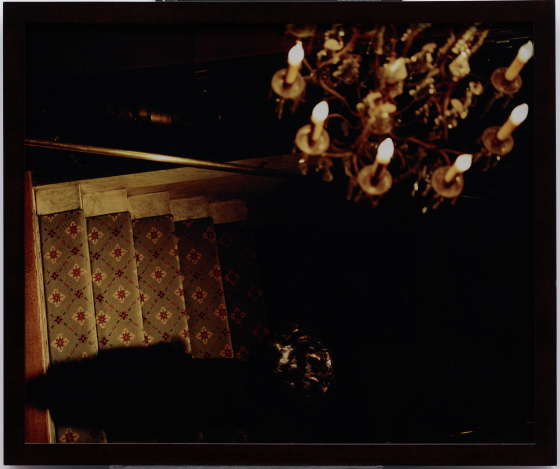 The sense of being watched, effected by dramatic lighting, ominous shadows, strategic blur, and a paranoid need to confirm or dispel that suspicion drives the series of photographs. This work is part of a series that Gaskell created for an exhibition at Houston's Menil Collection. In the series, Gaskell was inspired by the esteemed collector and founder of the Menil Collection, Dominique de Menil, whose legacy Gaskell felt almost as a physical force while in the museum. Returning to New York, Gaskell started her series with Mrs. de Menil in mind, thinking of how to portray a person who completely inhabits and personifies a space. Gaskell used locations throughout New York to shoot the series, using ornate old interiors for their atmospheric sense of history and drama, evoking the shades of years past through an intricate play of figure, costume, and lighting. 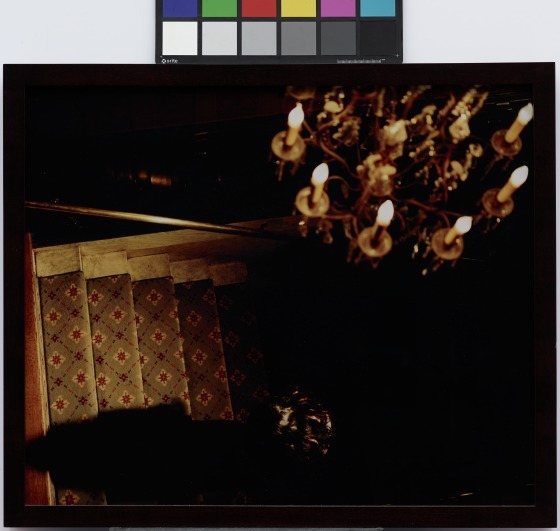 Proceeding from a fictional approach to photography made viable by Cindy Sherman [1984.177, 1982.21, 2001.43.A-C] and continued forcefully by Gregory Crewdson [2002.45] (under whom Gaskell studied at Yale), Gaskell's work is one of indelible imagery caught in a nearly timeless state of suspension, one that invites our gaze with its mystery, but confounds it with its enveloping beauty. Anna Katherine Brodbeck, ed., TWO X TWO X TWENTY: Two Decades Supporting Contemporary Art at the Dallas Museum of Art (Dallas: Dallas Museum of Art), 2018, 54. 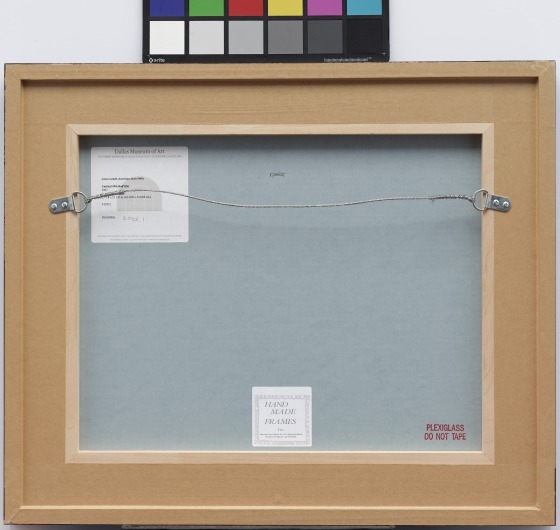 Read more about half life at the Menil Collection.